Virgin is to enter a team for the first FIA Formula E Championship, which gets out of the grids next year. The all-new championship will take place on purpose-built street circuits in ten city centres around the world. The Virgin Racing Formula E Team, is headed by Team Principal Alex Tai and has the backing of Virgin founder Sir Richard Branson. Both have been involved in a number of pioneering technology projects in aviation, space and more recently racing. The Formula E Championship is intending to showcase electric car technology and speed up development and innovation amongst manufacturers. Against this backdrop, Virgin will bring fun, energy and excitement to create a concept that is compelling for both fans and commercial partners, and will create a winning team. 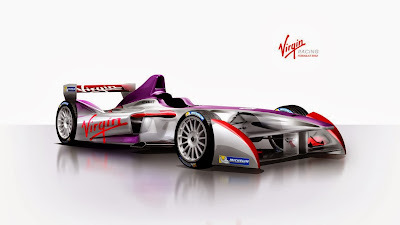 Alex Tai – Team Principal of Virgin Racing Formula E Team, said: “I’m absolutely sold on the concept of Formula E and believe that it is a great fit for the Virgin brand. The accessible nature of the series with its races being right in the heart of our great cities, should create a wonderful atmosphere. The drive to develop new technology appeals to Virgin, which has always been a pioneering organisation. I’ve been fortunate to have been involved in a number of such activities over years, from the Virgin Atlantic GlobalFlyer to Virgin Galactic activities that push technological and human boundaries and capture people’s imagination.